In the Image: Palestinian Women Capture the Occupation focuses on the personal lives of several Palestinian women living in the West Bank. Partnering with the Israeli human rights organization B’Tselem the women emerge as citizen journalists, learning to use video as a non-violent means to capture human rights violations and daily life in their communities. 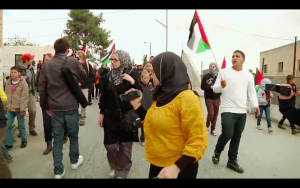 Their videos are transmitted over checkpoints and borders and uploaded to YouTube by B’Tselem in Jerusalem. Some footage has gone viral and swayed public opinion and has been admitted as evidence in Israeli courts, resulting in the convictions of abusive soldiers and superiors. Salam, Ayatt and Nariman’s lives are voiced from interviews, animation and vérité footage. 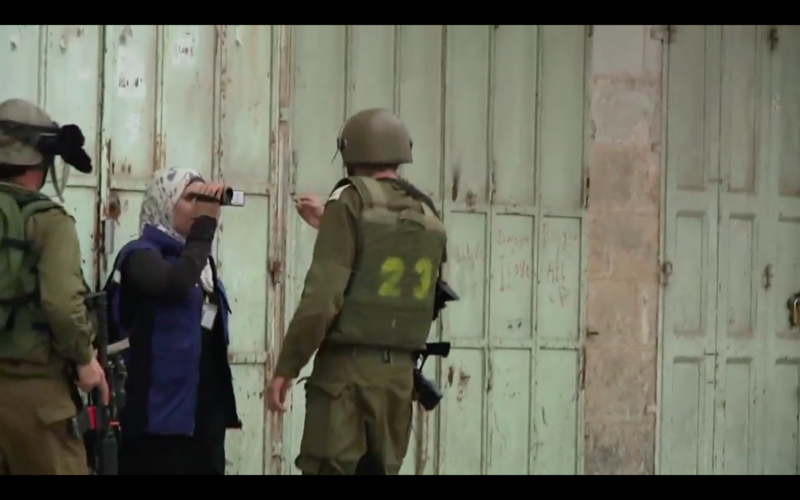 Interviews with B’Tselem staff talk about the impact that the footage has had in the media and in the larger context of the Occupation. Judith Montell has produced and directed documentaries dealing with issues of social justice, history, and education. Among them are Forever Activists: Stories from the Veterans of the Abraham Lincoln Brigade, nominated for an Academy Award; A Home On The Range: The Jewish Chicken Ranchers of Petaluma with Bonnie Burt; Timbrels and Torahs: Celebrating Women’s Wisdom with Miriam Chaya., Professional Revolutionary: The Life of Saul Wellman and First Amendment On Trial: the Case of the Detroit Six. She directed and edited a series of 16 half hour dramatic programs in Esperanto, “Pasporto al la Tuta Mondo” for the purpose of teaching the language to aspiring Esperantists around the world. In The Image: Capturing the Struggle for Human Rights is in the spirit of these films, encouraging and teaching activism and featuring “ordinary” individuals working for a common good. Emmy Scharlatt, started her film career as an assistant editor in Hollywood. Her feature film credits include: Year of The Dragon; Karate Kid II; Planes, Trains, and Automobiles; Steel Magnolias. She has worked as an editor, researcher, writer, and producer on documentaries and feature films since 1982. She edited Taino Maida’s Peace is Every Step, The Life and Work of Thich Nhat Hahn, and was Consulting Editor and Associate Producer on Mark Eisner’s film on the life of Pablo Neruda, The Poets Calling. Emmy co-produced Four Questions For A Rabbi by Stacey Ross and Jay Rosenblatt, an 11-minute film that won the Directors Cut award at the 2008 Black Maria film festival. In the Image is her directorial debut. She holds a Master’s degree in Cultural Anthropology from San Francisco State University.